1) Check Canadian Tire Gift Card Balance By Phone, 1-800-387-8803. 2) Check Canadian Tire Gift Card Balance At Any Canadian Tire Or Canadian Tire Petro Location. Unfortunately at this time there is no way to view your Canadian Tire gift cards balance online. After you have verified your balance you can either do some shopping at Canadian Tire or you can turn your gift card into cash. You can sell your unwanted gift cards on Giftah.com, just fill out the form, submit your card and a payment will be sent your within 24hrs of the gift card being verified. 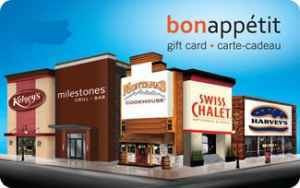 Its the fastest and easiest way to get cash for your gift cards. If you decide to do some shopping at Canadian Tire be sure to check Giftah.com to see if any discount Canadian Tire gift cards are available. The discount gift cards will allow you to save money on all of your purchased, it is like everything is on sale all the time!